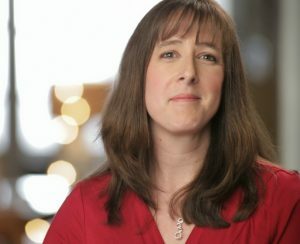 I met my husband years ago, during our starving college days. We weren’t all that picky about the foods we ate. They needed to be cheap, plentiful, and preferably available at 3 AM on delivery. Fast forward a couple of decades and our taste buds have definitely matured. We have learned to love exotic foods, recipes with plenty of heat, and new flavor twists on old favorites. Of course, those foods don’t always sit well with our stomachs! So, when I was asked to partner with Alka-Seltzer® PM Gummies for relief of occasional heartburn with sleeplessness, I thought it would be a great fit! Don’t Let Spicy and Acidic Foods Scare You! I grew up on fairly bland foods. I love New England baked beans and pot roast but they aren’t the most bold and flavorful of dishes. Over the years, I have come to love the spicy heat of jalapenos and the acidity of citrus in my dinner recipes, even if the are some of the most common heartburn triggers. Alka-Seltzer® PM Gummies are a new product at Walmart that may be able to help if you also need to deal with occasional heartburn with sleeplessness. Alka-Seltzer® PM Gummies not only provide fast relief of occasional heartburn but also contain melatonin for occasional sleeplessness. If you have ever laid awake at night with heartburn, you will appreciate this great combination! It goes to work in seconds to relieve occasional heartburn so you can rest! Now you can enjoy the spicy foods that you love without losing sleep over it! Follow them on Facebook for more information! For years, the only homemade coleslaw recipe I saw with laden with mayonnaise. While tasty, they have their drawbacks. I don’t really like leaving recipes with mayonnaise out on the picnic table for fear of food poisoning. They are also not all that healthy. 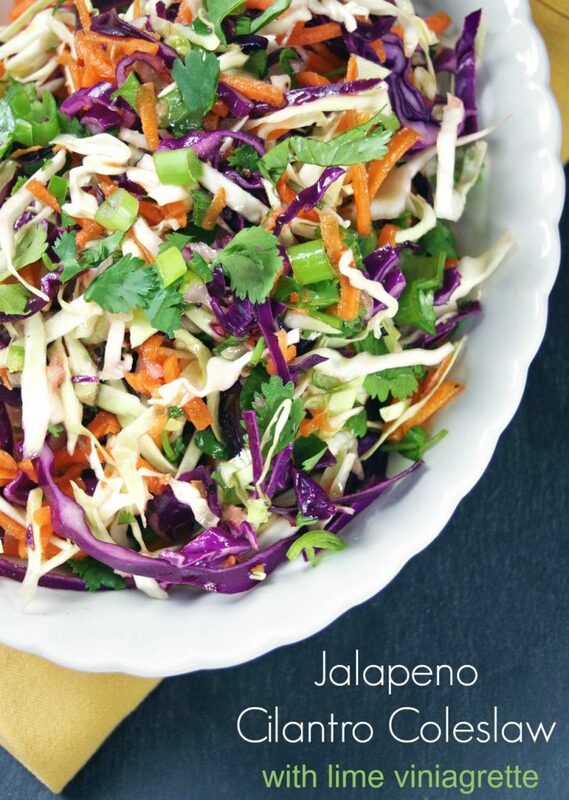 You can skip the mayonnaise in this jalapeno cilantro coleslaw recipe and make an easy homemade lime vinaigrette instead! Lime Vinaigrette is an easy and delicious addition to your homemade coleslaw recipe. Just squeeze a couple of limes into some olive oil. Add a pinch of red pepper flakes, black pepper, salt, garlic and honey. Whisk it together and voila! 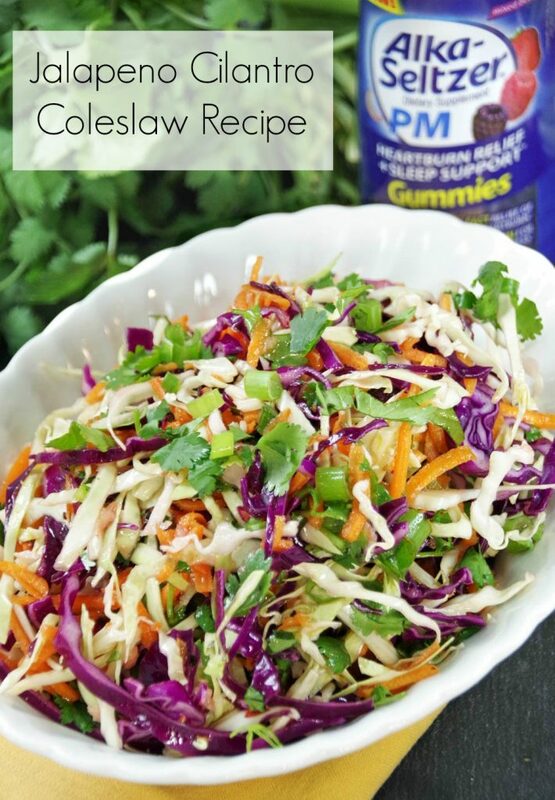 The perfect addition to your healthy coleslaw recipe! 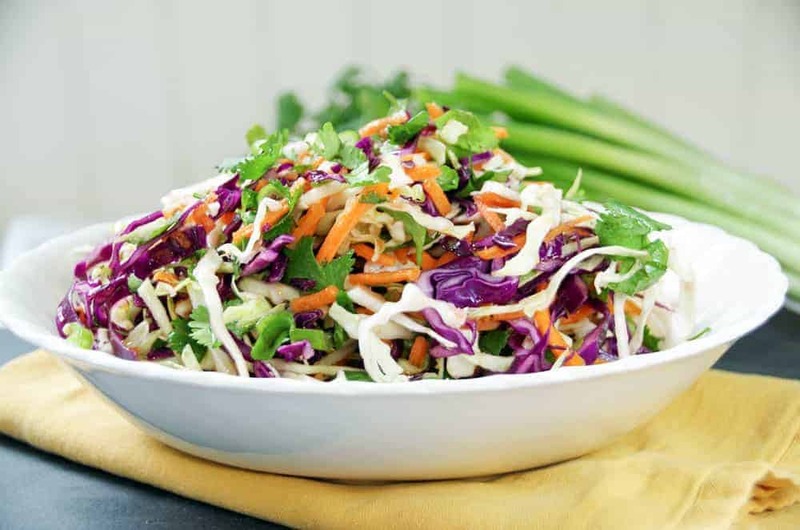 This jalapeno cilantro coleslaw recipe with lime vinaigrette is the perfect healthy side dish to your next BBQ or summer party. Full of garlic, jalapenos, and cilantro and tossed with a zesty burst of lime juice and olive oil. 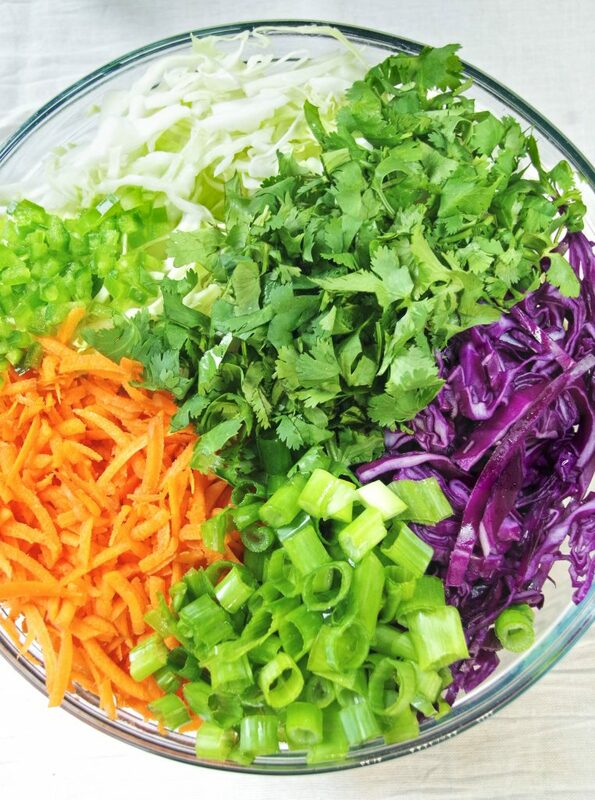 Combine the shredded and chopped vegetables in a large bowl and toss to mix. 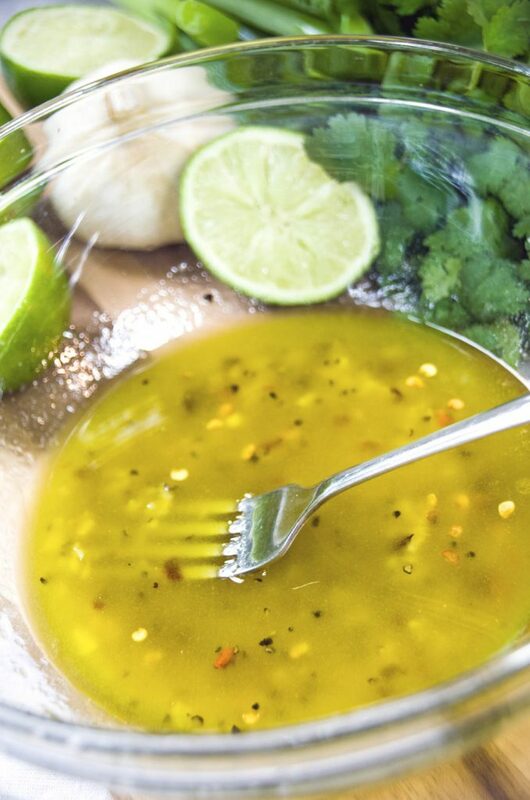 Combine all vinaigrette ingredients in a bowl and whisk. Pour the lime vinaigrette over the coleslaw and toss to mix. 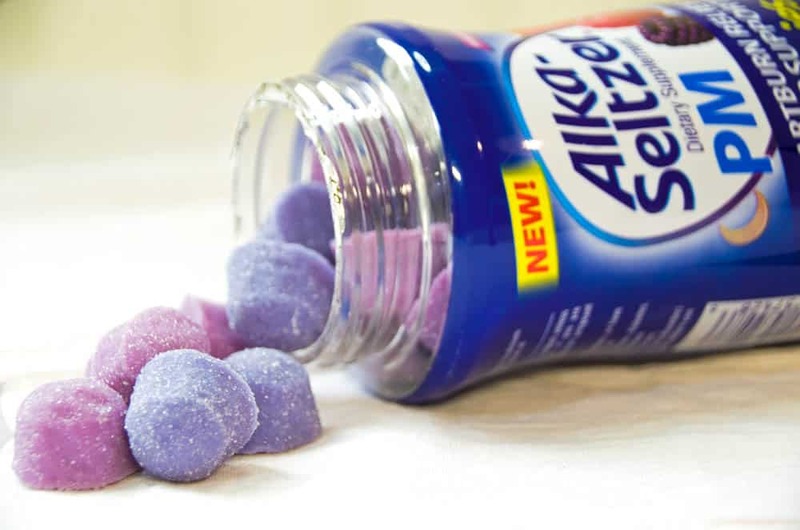 Want to try out Alka-Seltzer® PM Gummies for yourself? 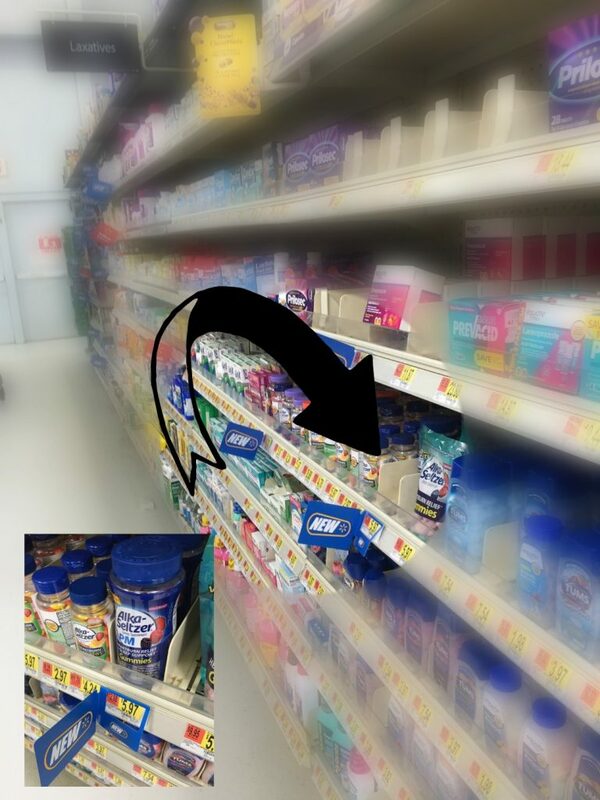 Find them at Walmart in the aisle with the other antacid relief products! Enjoyed it very much, but not exactly a low carb diet salad for those on a low carb diet. Any suggestions of lowering carbs plse for my son? I am not sure the best way to do that. You are probably better off asking his nutritionist!